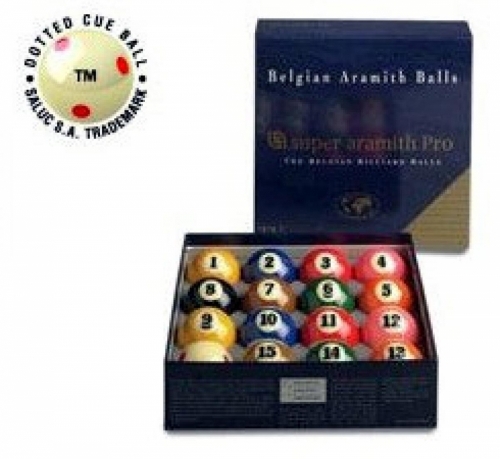 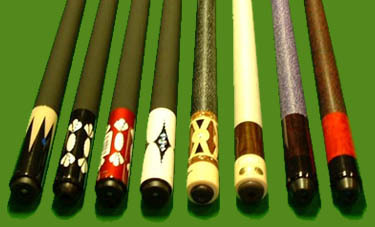 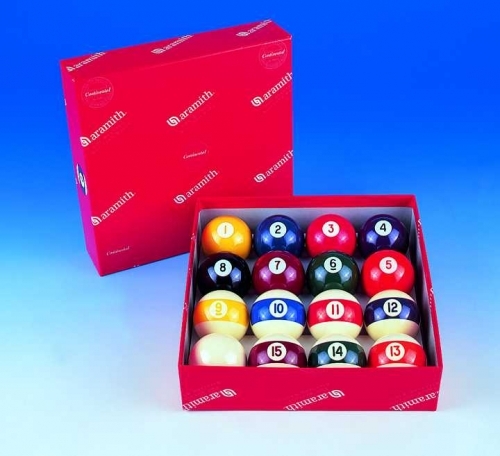 High quality US-style pool balls correctly sized for a full-size snooker table. 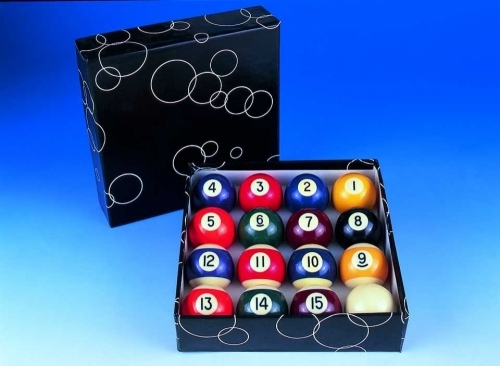 Unlike screen printed balls where the colour and number are on the surface only the colour on engraved balls runs right through the ball and the number is part of the material. 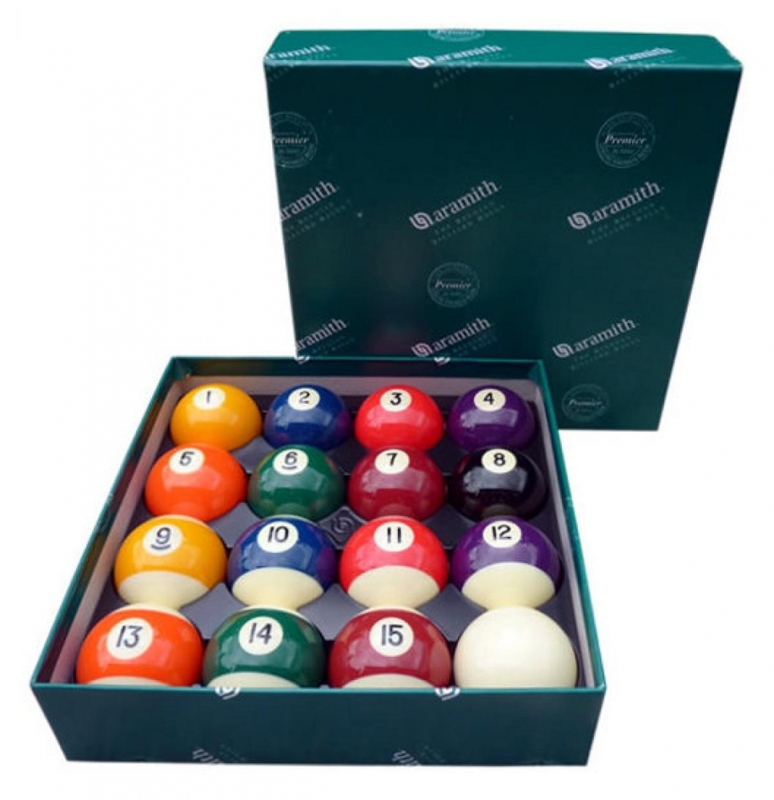 9 ball on a 12' table is quite a challenge so we usually play 8 ball with them!